UC mini comes with so many offers but this time it has collabed with Paytm to give Paytm recharge voucher of rs 25 and 50 cashback. 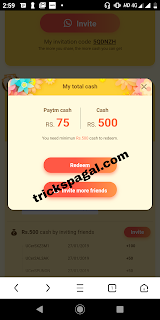 It also has added another offer to earn referral income of rs 50 at each sign-up and you can redeem it to your Paytm. 3. After Installing UC Mini App >> Open this Link in your UC Mini Browser and You will get the Rs 25 Paytm Cash voucher. 4. 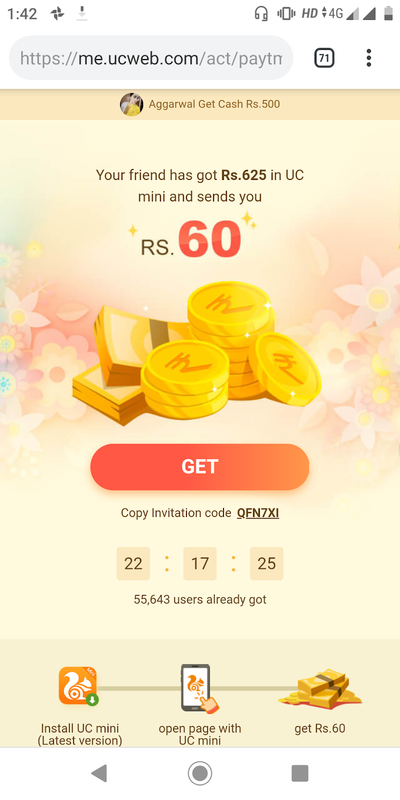 Now Enter Invitation Code: 5QDNZH and Get Rs 10 additional in your Cash wallet. 5. You can also Earn Rs 50 Cash by logging Facebook or Gmail. 1. 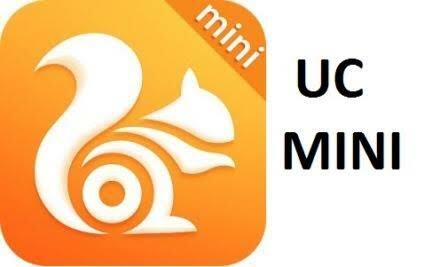 Click on “Invite” option available on UC MINI and Get your Referral link + Referral code. 3. 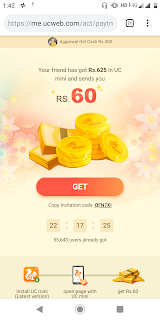 You will get the Rs 100 on first referral and Rs 50 for each from the second referral. You need to recharge rs 10 , 20 , 25 or above amount to get 100% cashback upto 25. Validity of the offer ?? so, u need a rooted phone to loot this offer , but you can try clear data method and parallel space or dual app on non-rooted phone comment below if it worked.